Updated with healing Superjuices and the most refreshing smoothies. It’s bigger, better and more colourful than before. Our new edition of this extremely helpful guide to using juice contains all the right updates for today’s juice market. Superjuices such as Wheatgrass are now included along with delicious, fresh fruit smoothies. Juicing For Health will also look more attractive than ever before – with a larger format and a 2 colour design throughout. Over 200 juice recipes and blends. · The vitamin & mineral content of over 60 different fruit & vegetable juices. · The basic healing qualities of each fruit and vegetable juice. · Nutritional therapy juice blends for a whole range of specific – and more general – ailments. · Beginner-friendly guide to starting up and managing a healthy detox programme. · A–Z Vitamin & Mineral hotlist – with the “Best Fruits” and “Best Vegetables” for each nutrient. 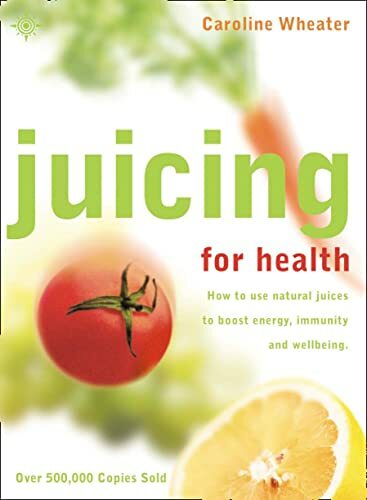 Updated with healing Superjuices and refreshing smoothies, this new new edition of this guide to using juice includes: over 200 juice recipes and blends; the vitamin & mineral content of over 60 different fruit and vegetable juices; the basic healing qualities of each fruit and vegetable juice; nutritional therapy juice blends for a whole range of specific - and more general - ailments; beginner-friendly guide to starting up and managing a healthy detox programme; and an A-Z Vitamin & Mineral hotlist - with the "Best Fruits" and "Best Vegetables" for each nutrient. Caroline Wheater is a full time writer and journalist. She currently works for the BBC.